Last night I went to a work holiday party with an ugly sweater theme. I pulled out some old turtlenecks and made a few DIY sweaters for coworkers and myself. I had so much fun putting these together. 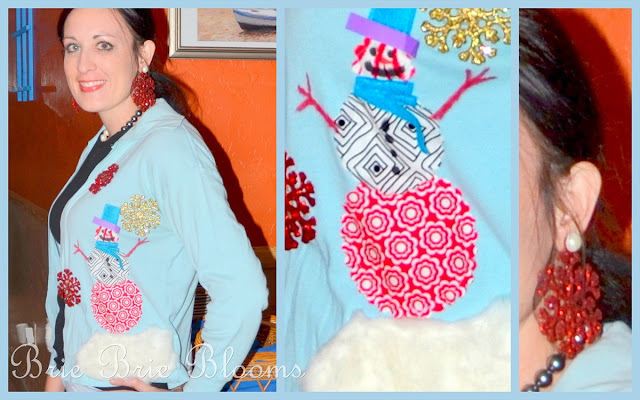 I want to see your best DIY ugly holiday sweaters too! Join the party! Each of the sweaters I made started as a turtleneck. 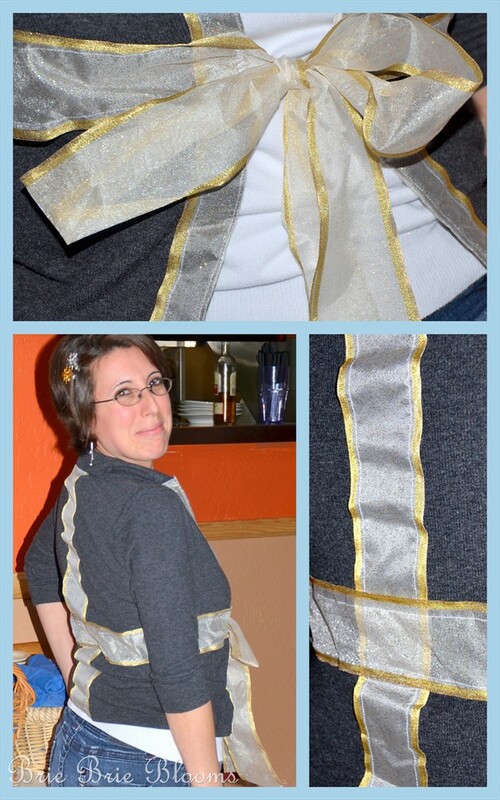 Simply cut down the middle of the front and you have a cardigan ready for some ridiculous holiday embellishments. Everyone should own a neon pom pom sweater! 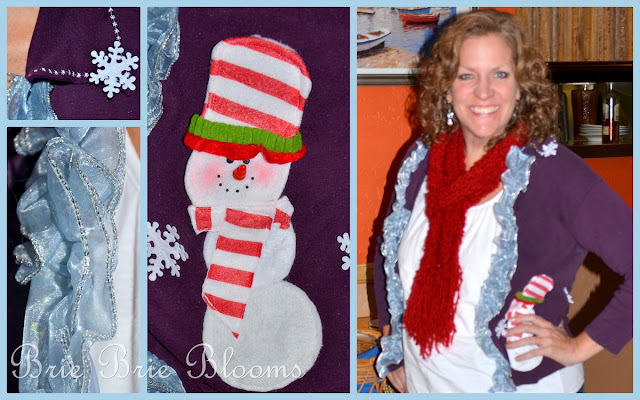 Real holiday decorations make great sweater materials! This “gift” is too cute! Mismatched scraps add great colors and patterns. Don’t forget to make matching accessories! 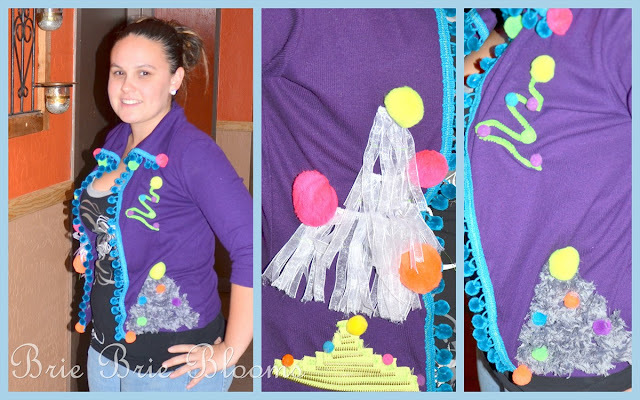 Did you make your own ugly sweater this year too? Show us! So fun! Those turned out awesome! These are too funny! Last year I went to an ugly sweater party and drove to all the thrift stores in town looking for something. Should’ve thought to make my own!